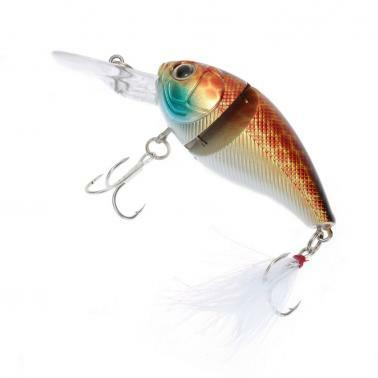 This round-bodied crank bait features a two piece jointed design. This feature allows the crank bait to produce a violent wobble at slow to medium speeds that gives the illusion of fleeing pray. 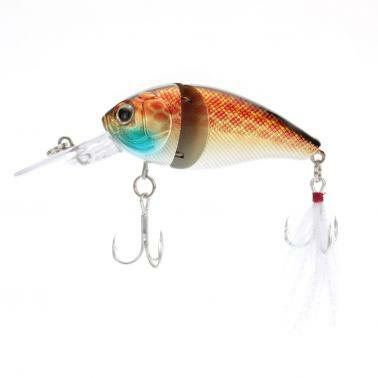 This rattle-free crank bait presents a more natural bait and is ideal in less active or calm lake conditions. Come with 2 durable treble hooks. With feather dressed on the rear hook. 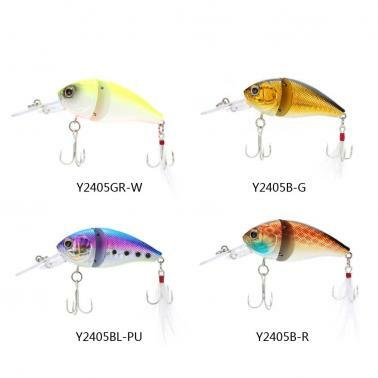 Bright colors and 3D eyes to attract big fish. With large tongue plate, make the swing size bigger, is good for vibration. 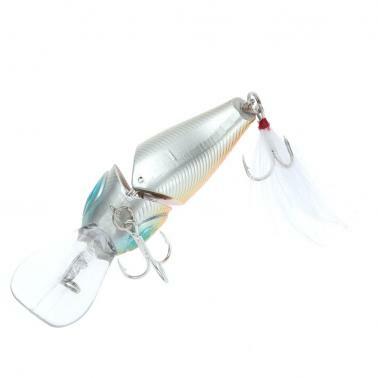 Two piece jointed design, allowing the crank bait to produce a violent wobble at slow to medium speeds that gives the illusion of fleeing pray.